Before we go into the tutorial, let’s start from the beginning and answer the question: why should you do this? Since digital magazine publishing is one of the available content marketing techniques, there is no reason not to utilize it to engage an audience with videos that resonate only with a clearly defined audience. Such a vertical approach is a great way of building and growing a strictly profiled audience. This way, marketers can adjust their voice accordingly leading to better sales outcomes. 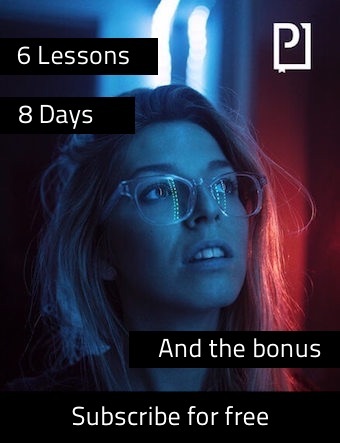 A great example of a well-curated video magazine is Hyper app. Adweek presents it as a medium that was designed to highlight the best and newest videos on the internet, where all shared videos are less than two days old. The Hyper app presents all these videos in the style of a daily magazine and allows users to access groups of videos as well as past issues. But what happens if you want your own curated video magazine of that kind? You can hire a software house and develop one for you, or you can utilize PressPad and your magazine designers. Using PressPad, you can upload your own PDF magazine or comic book, with linked video content. This way, users of your magazine app will see your curated content in the handy form of a mobile app. Wait! But did you say PDF? – you may ask. Yes. The PDF file is the carrier of the content and its form, in this case, a video magazine. If you link any part of the design, whether it’s text or graphics, with a YouTube video URL, the PressPad app recognizes it and opens a video player inside your magazine. This way you can overcome obstacles of the PDF format. No coding, no special design tricks, just a PressPad app that recognizes specific hyperlink formats that trigger a video player in your magazine, providing the dynamic experience of the native video-magazine app. Hint: Using this method with lightweight PDF files gives the best outcome because you do not mess with heavy video files, just a hyperlink that tells the magazine app where to stream video from. To illustrate my words, I took one of my past blog post about Best TED Talks On Publishing and repurposed it into a video magazine. To do this, I used Slides from Google. Remember, I am not a designer, but I wanted to demonstrate how simple this process can be. 1. I took the original article and repurposed it into a 4 page PDF. 2. The video thumbnails are all PNG files that I copy and paste into the proper place for the magazine’s design. 3. Then I create hyperlinks to these thumbnails, pointing directly to the YouTube videos. Hint: If you tap or click a link on the PDF file you’ll be taken to the particular video page on YouTube, but once you upload this PDF onto your PressPad account, this PDF becomes a part of your magazine app. This way your readers see it as another digital edition available to read on their tablet. I am sharing the original video magazine design here. The outcome PDF file is just 400 KB. Feel free to play with it. If you want to (and you should) understand how it works as an app, install our Digital Publishing Guide App available on the App Store and Google Play for free. There, you’ll be able to read and see how a Curated Video Magazine works as a mobile app. Are you interested in content curation? Read about native apps for blogs and web magazines and great opportunities they open. Reading in flight mode, digital ads and many more. Oh and by the way, can you imagine digital comics done like this, with interactive frames firing videos after tapping on them? YouTube and Vimeo integration. A flexible price management, no pricing-tiers obstacle. Thinking about the paid distribution of your video magazine? Create digital kiosk on your website. Instant publishing, credit card transactions and the online reader of your PDF publication.